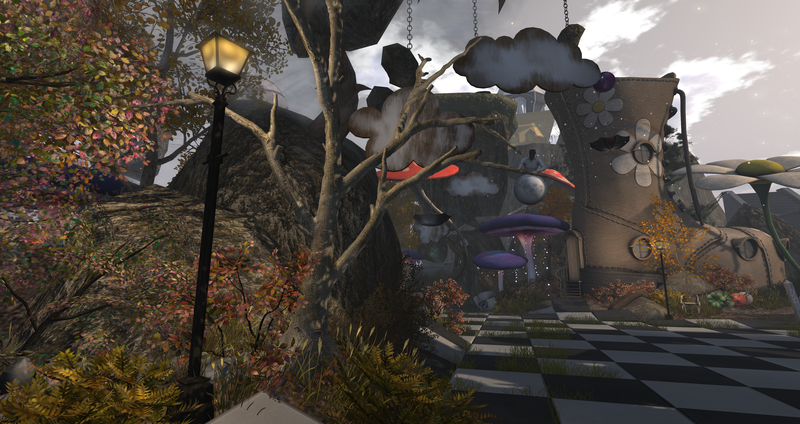 Mad Pea’s “Mad World” Coming Soon to Commemorate Made Pea’s 10th Anniversary in SL – Come be a V.I.Pea! Mad Pea games in Second Life are a wonderful fun filled immersion into creative worlds and brilliant story lines. They’ve taken us on dangerous adventures, horrors, and puzzles that boggle the senses! I’m sure this will be of no exception to the quality we’ve all come to know and love from the wonderful crew over at Mad Pea Productions. The excerpt below was featured on Mad Pea’s website, I am so excited to see what madness Queen Pea, Kiana Writer and her crew of Peas have come up with us for this adventure! WHO WANTS TO BE A MAD WORLD V.I.PEA?! Over at MadPea we are literally bursting with excitement over the impending release of our new and unique 10th Anniversary interactive experience Mad World, and we can’t wait to share it with all our lovely Peas! 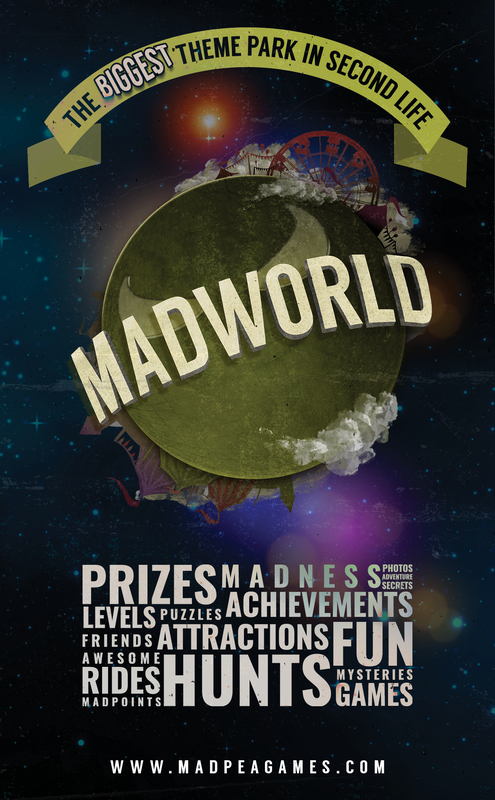 Unless you have been locked in a dark room listening to heavy metal music, you will have seen all the articles and notices on our exclusive Mad World VIP tickets, which are available to buy NOW! With a nod to MadPea games of old, plus the mysterious story of the abandoned theme park and the tragic tale of the Washington family, this really is an experience not to be missed. But what does it mean to be a VIPea, you ask – well read on and find out! All our Peas are important to us, but as a VIPea you will obtain something very few people in SL will get to experience, so this opportunity is not to be missed! With only 15 VIP tickets going on sale, you will be one of the first in hundreds, possibly thousands, who will get to see this amazing place and experience the magic. On top of all that, we are offering an exclusive VIP gift, only available for the handful of lucky Peas with a ticket. Plus the fun never ends! Mad World is a fantastic ‘work-in-progress’, which means the theme park will never be complete; we will be adding content, twists and turns every month! It will without a doubt be the most unique experience MadPea have created to date. Mad World Golden VIP tickets are ONLY on sale on the Second Life Marketplace and cost 5,000L each. If you are lucky enough to get your hands on one of them you will be told the date your exclusive entry begins. Once you log in on this day, send an instant message to Queen Pea, Kiana Writer so that you can be transported to the start of Mad World. 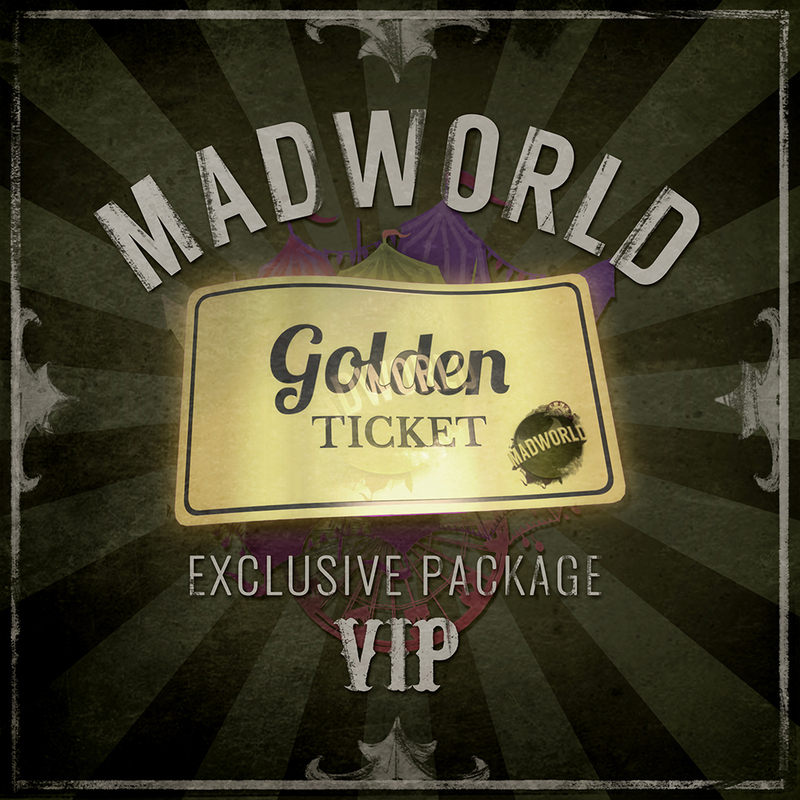 Golden VIP tickets CAN be given to others or re-sold, but only one person can enter Mad World with each golden ticket. Finally, on the day of entry make sure you have your ticket with you, otherwise our Pea Bouncers will not allow you inside. Good luck to all those that seek to purchase a ticket and we at MadPea look forward to sharing this experience with you. Link to MadPea games available to play. ← What is the Windows Registry?